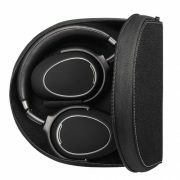 Featuring the audio specialist’s exceptional sound performance, the compact foldable headphones offer NoiseGardTM active cancellation, exceptional 50-hour battery life and an inline mic for taking calls – everything you need to enjoy travel in comfort. 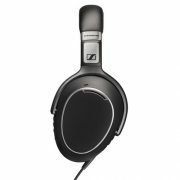 The Sennheiser PXC 480 offers you superior Sennheiser sound and audio technology fused together with an outstanding design in a high-performance travel headset. You cannot always control the sound of your environment. But with the Sennheiser PXC 480 you can control if and what you will hear from it. Featuring Sennheiser’s NoiseGard™ Hybrid noise cancelling it will let you enjoy your favorite music even in the noisiest of surroundings. And it has another special treat in store: When you are not listening to music, NoiseGardTM can be used in passive mode to create an oasis of calm, by simply detaching the cable. The PXC 480 delivers Sennheiser’s signature sound quality. That means your music and movies are presented with exceptional clarity, delicate balance and gripping dynamics. 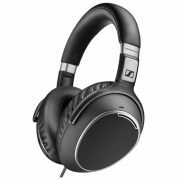 The Sennheiser PXC 480 creates a rich soundstage for a really immersive audio experience for you to enjoy. To effortlessly stay in touch with the world the inline smart remote and high quality microphone make it convenient to use as a headset for clear phone calls. Furthermore, there is a TalkThrough feature that lets you hear and talk to people, e. g. the cabin crew, without removing the headphone. Comfortable, lightweight and crafted from high quality materials, the PXC 480 is a traveller’s headset in every detail. Its ear pads have been designed in accordance with Sennheiser’s dedicated research into the ergonomics of the human ear for supreme comfort. 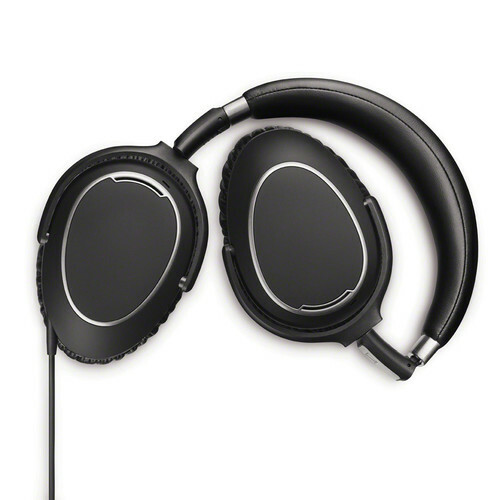 An comfortable padded headband and rotating ear cups make long-haul listening a pure pleasure. And when the journey is done, the fold-flat collapsible frame lets you discreetly fold it away into the stylish, compact travel case. The PXC 480 delivers up to a stunning 50 hours of battery life on a single charge. This means you can travel around the globe in the comfort and tranquility ensured by noise cancellation. Even without batteries you don’t have to miss the superior sound of your travelling companion. 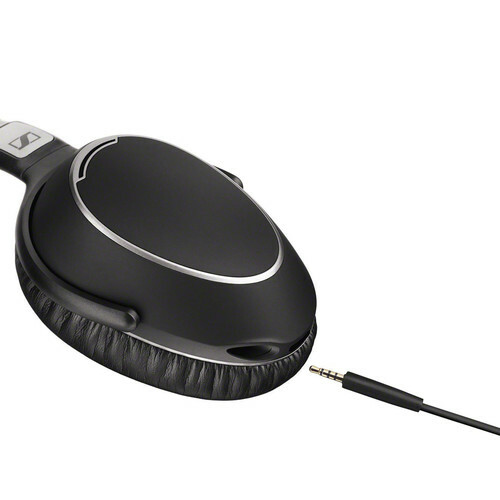 The Sennheiser PXC 480 works perfectly fine passively, both as headphone and headset. The Sennheiser PXC 480 comes with: travel case, USB cable and IFE adaptors.